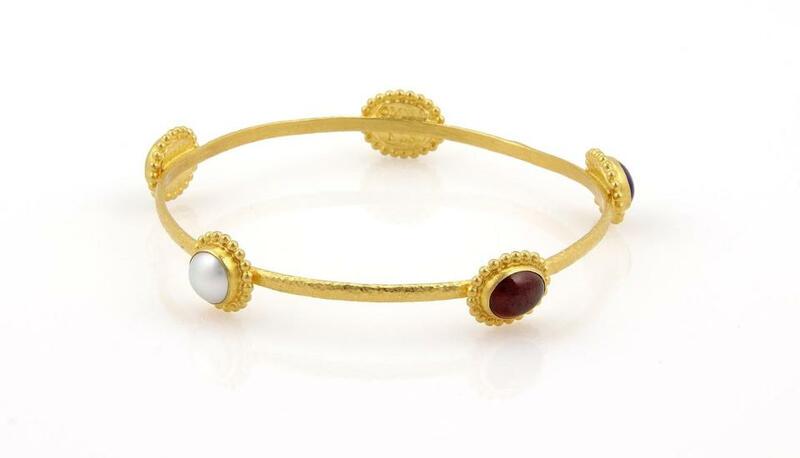 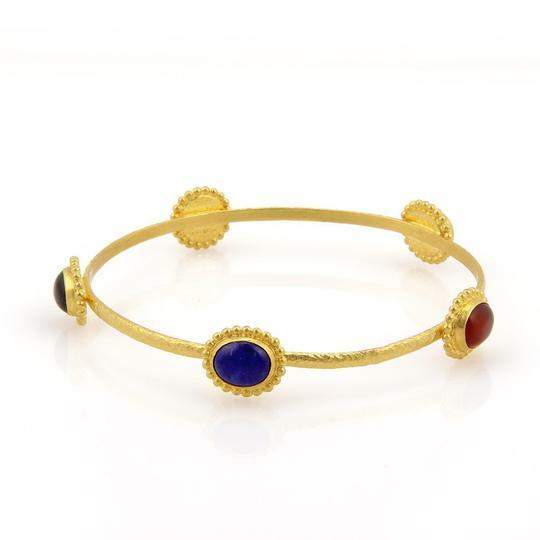 This lovely authentic bangle is by Gurhan from the AFGAN collection, well crafted from 24k gold featuring a 2.5mm bangle in hand hammered finish. 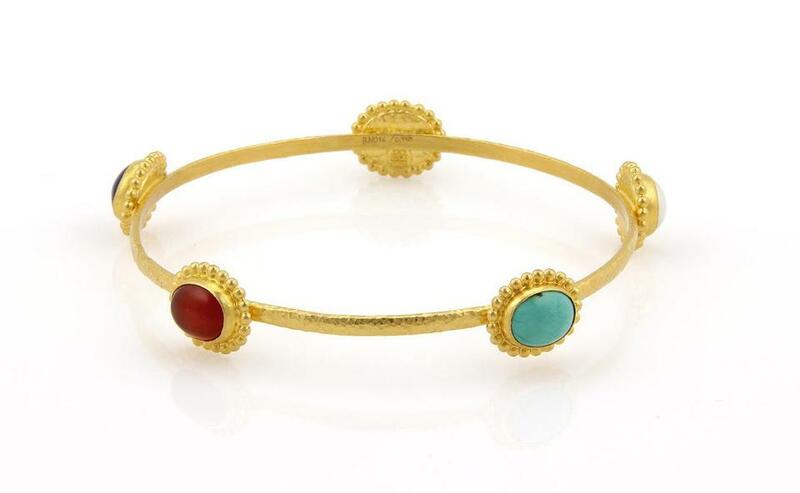 It has five oval beaded fancy frame, each with an oval shape gemstone, turquoise, garnet, pearl, lapis and carnelian. 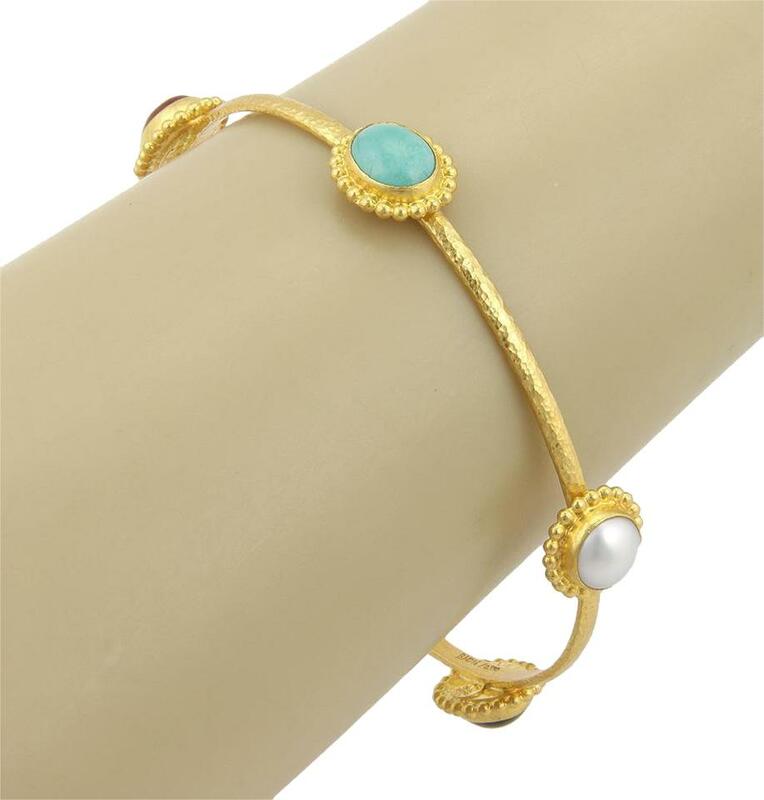 It has the designer signature with the metal content and serial number.